Different vocabulary is used for each kind of rational number, so you may know the term by many names. Counting numbers (1,2,3,4) is the method we use everyday for counting and ordering (1st, 2nd, 3rd). There are the whole numbers that go from 1 to infinity. They are also called natural numbers, positive integers and nonnegative integers. Integers (-59, 38, 29) are the same as counting numbers but they include zero (0). Integers are sometimes divided into two groups: positive and negative integers. Whole numbers are counting numbers from zero (0) to infinity. Whole numbers are the same as positive integers. 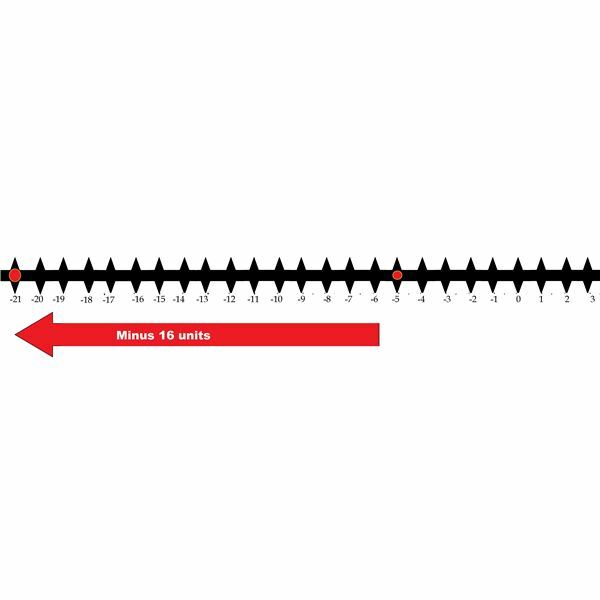 Terminating decimals are decimals which have a finite value–they do not continue infinitely like repeating decimals. (e.g., .4, .7092309, .901) Any decimal that has an ending can be written as a fraction. Is Every Number a Rational Number? Pi. Pi is a mathematical constant that is believed to have an infinite number of digits. This kind of number is also called a non-terminating, non-repeating decimal. Now that you know what rational numbers are, you may realize you already know how to add and subtract them. But just in case, here are some examples to work through. Be sure to check the end of this article for a free math quiz. Addition is a mathematical function that combines the quantities, or values, of two or more numbers. The numbers you are adding in an addition problem are called the addends. The solution, or answer, is called the sum. Follow along with these examples to learn how to add rational numbers. 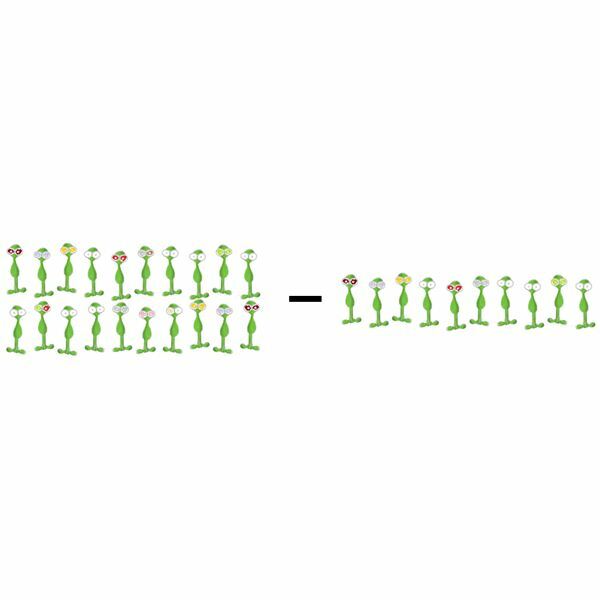 In this example, we have two groups of aliens. 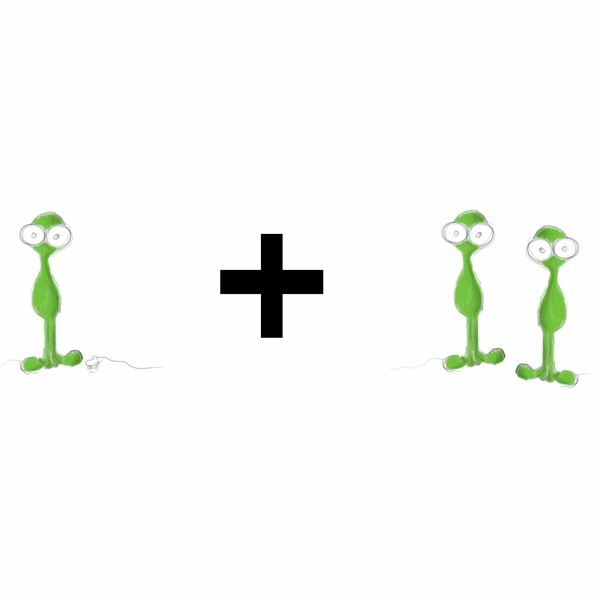 the problem instructs us to combine the two groups and view the aliens as a single unit. 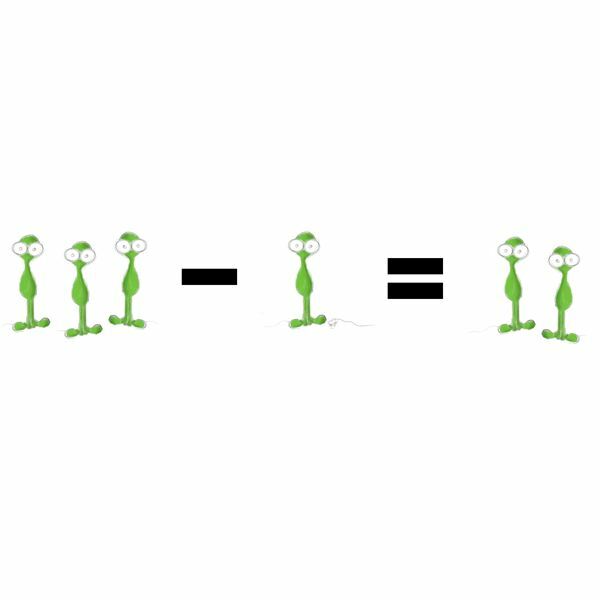 So the answer to this problem, as you can see from counting the aliens above, is 3. There are three aliens in the group. 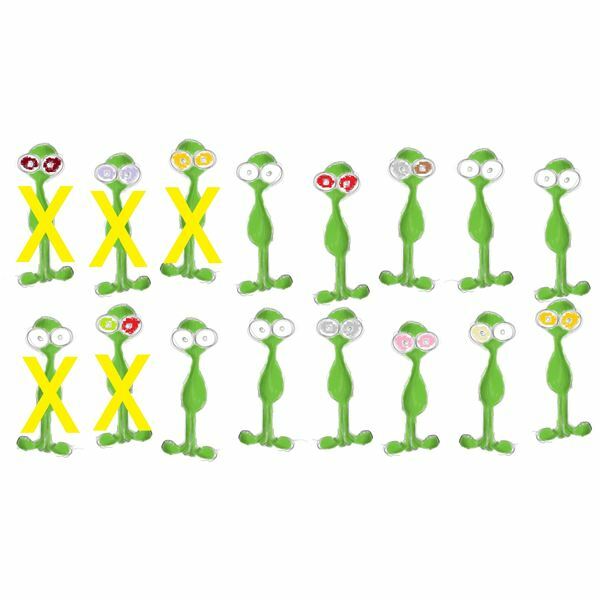 Now we have two larger groups to add, twenty aliens and ten aliens. We can follow the same procedure and use the picture to solve the problem or we can re-write the problem in a vertical format. 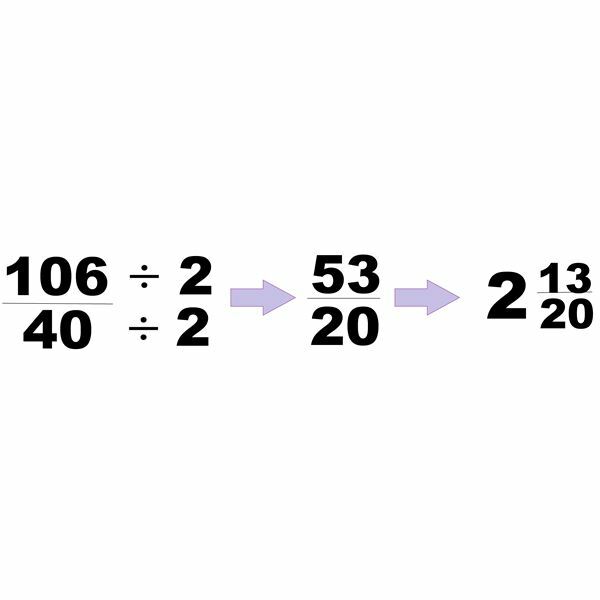 When you add vertically you are really adding several smaller digits. Starting at the right you add 0 + 0. The sum is 0 so you write that number under the line. Then you add 2 + 1, and write the sum, 3, on the bottom. The answer is 30. Vertical addition breaks down each addend into values based on number places. 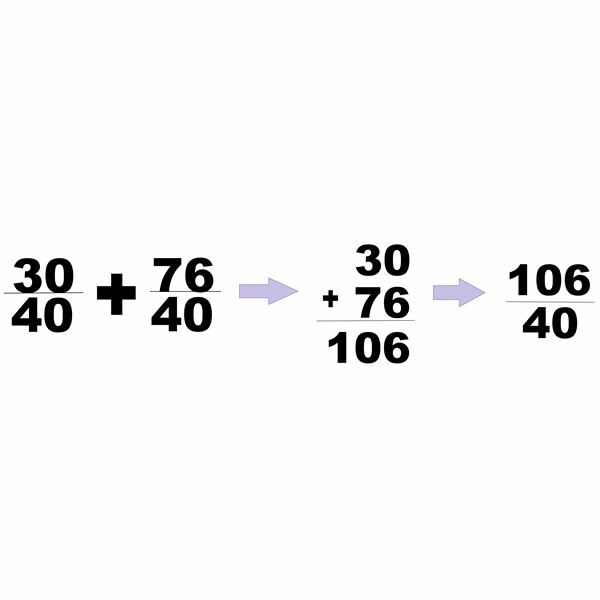 (ones, tens, hundreds, thousands) There are no numbers in the ones place in either of the addends, so you have no ones to bring into the solution. There are 2 units of ten in the number 20, and 1 unit of ten in the number 10. So, that gives you 3 units of ten or 30. -5 + 16 = ? When you add negative integers with a positive integer, the value of the positive integer is decreased. In this problem, we are adding a value of negative 5 with a value of positive 16. To find the solution you must deduct, subtract, the negative value from the positive value. 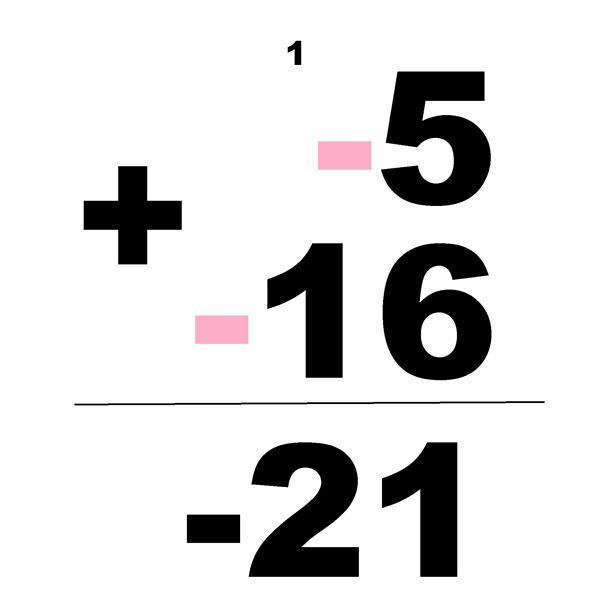 16 – 5 = ? Or, rewriting the problem in a vertical format. .190 + 150.79 = ? Remove unnecessary digits. 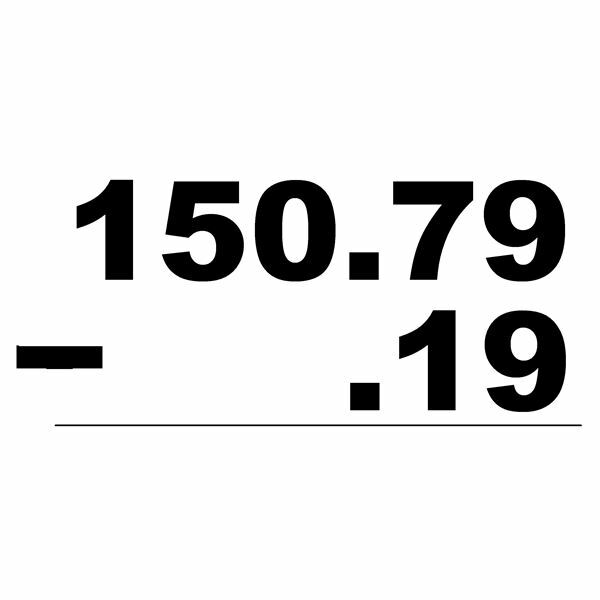 The 0 in .190 has no value because it comes at the end of a terminating decimal. 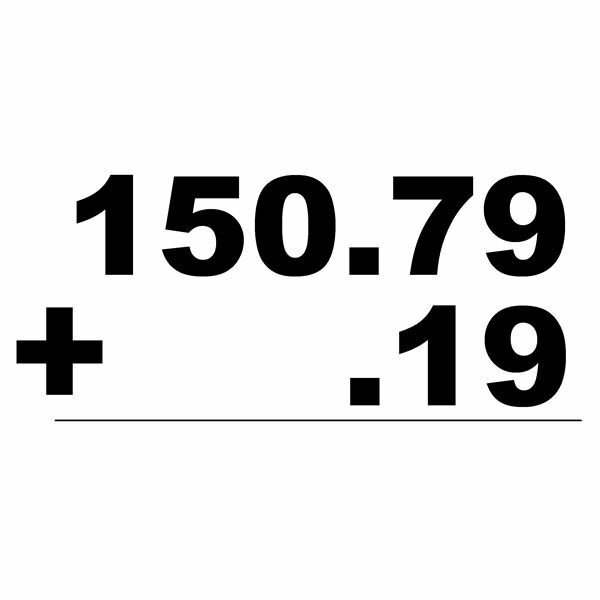 This is different than the 0 in the number "150.79." The 0 in the ones place in this number is a necessary placeholder. .19 + 150.79 = ? Rewrite the problem in a vertical format, lining up the numbers so that the decimals are aligned. This will make sure that the digits with the same place value are in the right place. 3. Solve the equation from right to left. 9 + 9 = 18, place the 8 in the solution and carry the 1 over the 7. 7 + 1 = 8, 8 + 1 = 9. There is nothing more to add in the lower addend so carry all of the remaining values down as they are. Tip: When adding fractions you have to make the denominators the same. You can do this by multiplying the denominators together. Find a common denominator. Instead of trying to find the lowest common denominator we are going to use the tip above to make a denominator. Add the numerators. When adding fractions you only have to worry about the denominator twice: to find a common denominator and to simplify the answer. 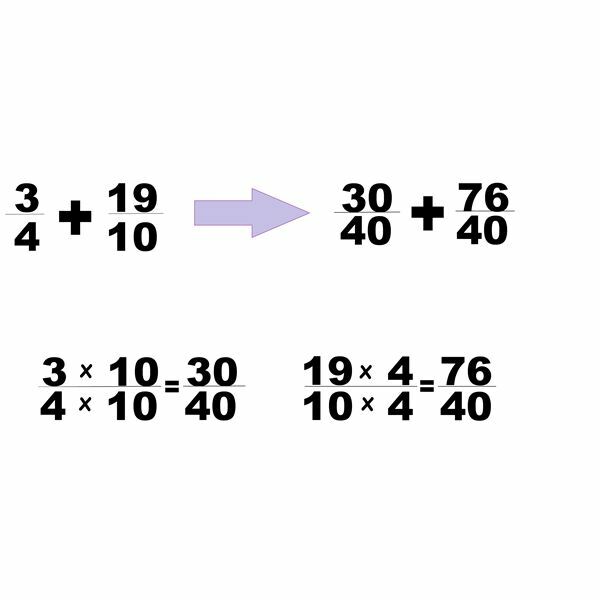 Simplify the answer by dividing both the numerator and denominator by the same number. In this case, we will divide by 2. Fifty-three is a prime number, so we cannot divide anymore. Next, we change the improper fraction to a mixed number, by finding out how many times the denominator can go into the numerator. The sum is two and thirteen twentieths. Continue to Page 2 to learn how to subtract rational numbers. Subtraction is a mathematical function that takes away from the quantity, or value, of two or more numbers. The numbers you are subtracting in a subtraction problem are called the minuend and subtrahend. The minuend is the number you are taking away from, the subtrahend is how much you are taking away. The solution, or answer, is called the difference. Follow along with these examples to learn how to subtract rational numbers. 3 – 1 = ? In this problem, we have a group of three and we are taking away 1. You can see from the visual above that this will leave us with a difference of 2. 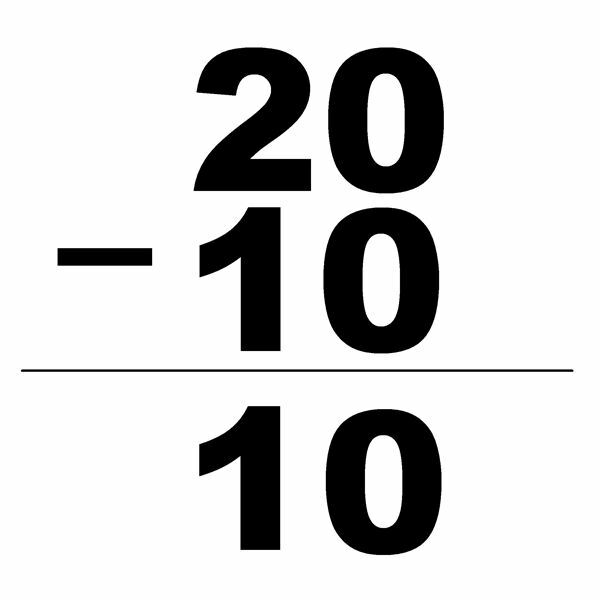 20 – 10 = ? Now we have two larger groups to handle. We can follow the same procedure–using a visual aide–or we can re-write the problem in a vertical format. 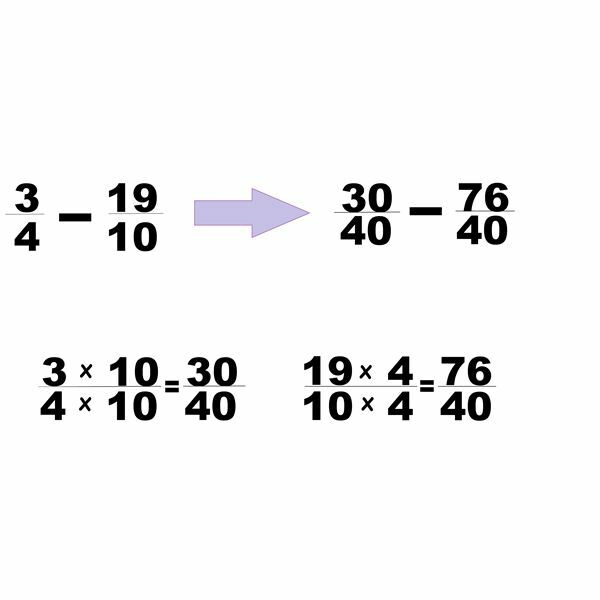 When you subtract vertically you are working with several smaller digits, just like with addition. Starting at the right you subtract 0 – 0. The difference is 0 so you write that number under the line. Then you subtract 2 – 1, and write the difference, 1, on the bottom. The answer is 10. There are no numbers in the ones place in the subtrahend, so you have no ones to take away from the minuend. There are 2 units of ten in the number 20, and 1 unit of ten in the number 10. After taking away one of those units you are left with 1 unit of ten and no ones, or 10. -5 – 16 = ? 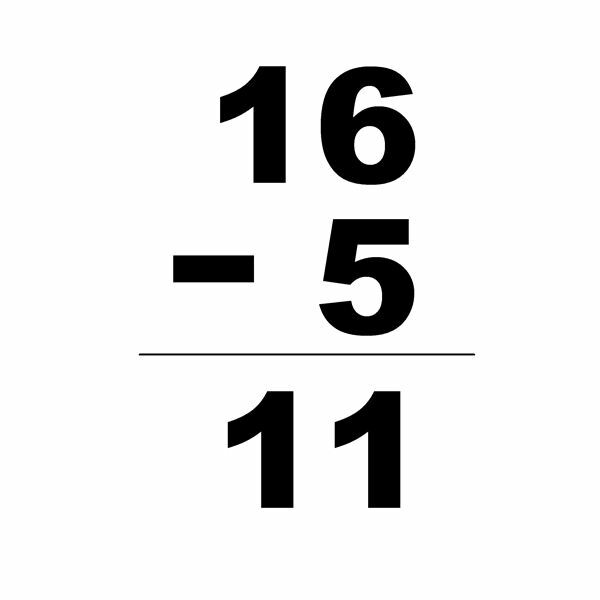 When you subtract a positive integer, 16, from a negative integer, -5, you are taking away value. The difference will also be a negative number. When you subtract a positive, you are doing the same thing as when you add a negative. or, rewrite the problem in a vertical format. Convert the problem to an addition problem and forget about the negative symbol. Remember, you are REALLY adding a negative to a negative, so you can treat the problem as if you were adding a positive to a positive. 5 + 6 = 11, drop the first 1 to the solution and carry the second over to the tens place. 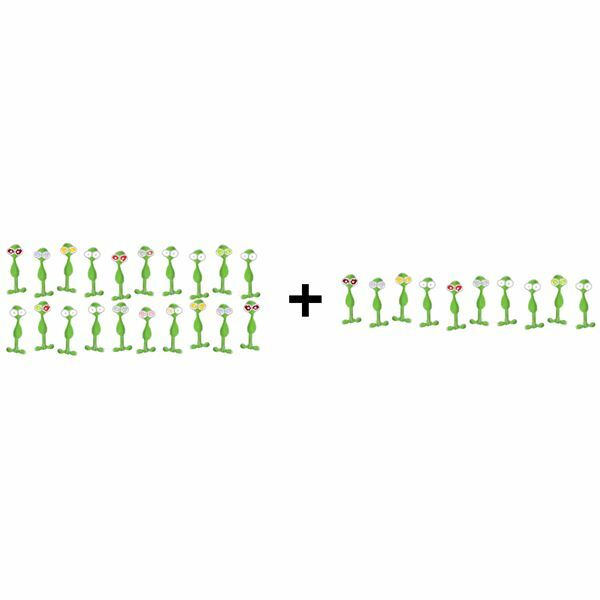 Add the negative symbol to the solution. 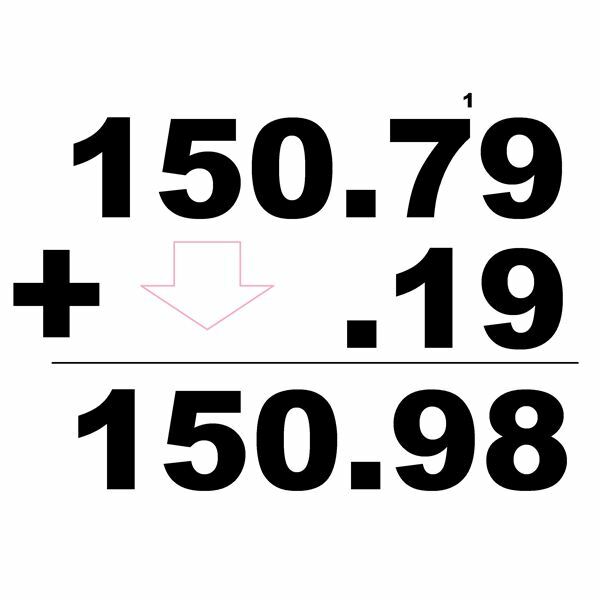 .190 – 150.79 = ? 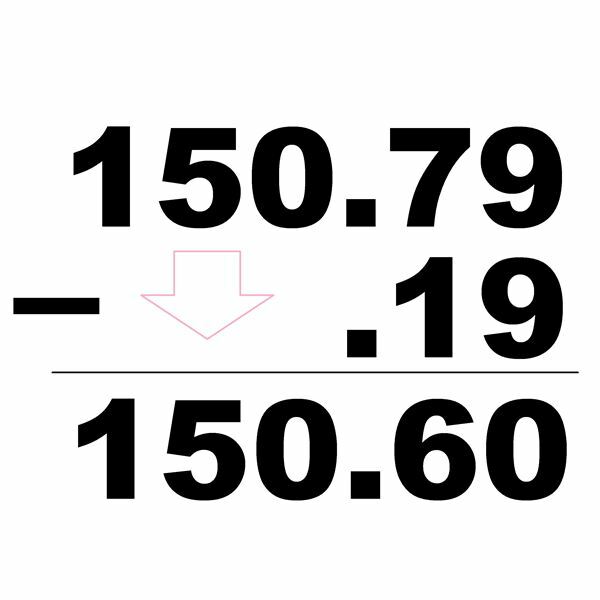 .19 – 150.79 = ? Rewrite the problem in a vertical format. Solve the equation from right to left. 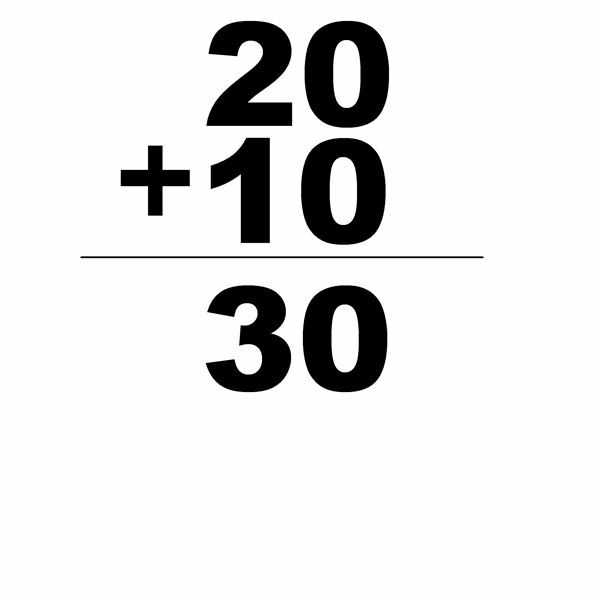 9 – 9 = 0, place the 0 in the solution. There is nothing left to subtract so carry all of the remaining values down as they are. You can re-write the solution as 150.6. 3/4 – 19/10 = ? Find a common denominator. We are going to multiply them just like we did with the addition problem above. Subtract the subtrahend from the minuend. Try solving these practice problems! Just remember these tips. Translate word problems into equations. Always write out the information you are given and what you need to find. Adding a positive integer with a negative integer is just like subtraction. Subtracting a negative is the same as adding a positive. 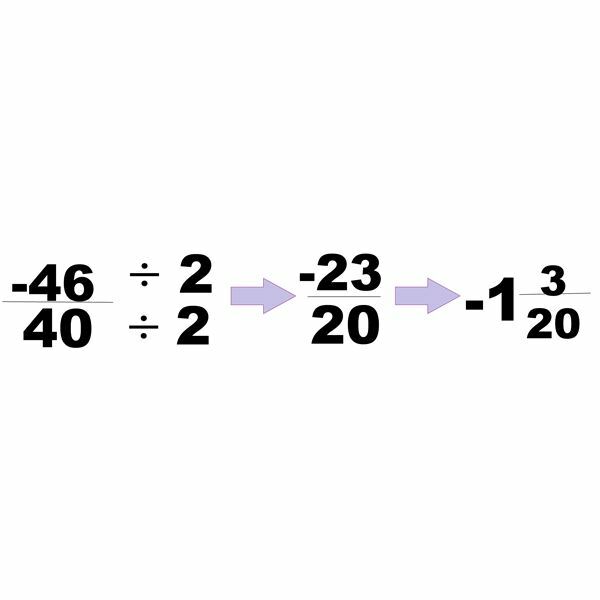 If you see a minus sign (-) in front of a negative number, change both symbols to a plus sign (+). Problem #1: 232 + 56 = ? Problem #2: $16.00 + $0.97 = ? Problem #3: 17 + 3 + 19 = ? Problem #4: 278 + 42.3 = ? Problem #5: If a = 12 and b = 34, what is the solution to a + b? Problem #6: Mary has 209 carrots. Bill eats three of Mary's carrots. How many carrots are left? Problem #7: (-90) + 42 = ? Problem #8: (-10) + (-30) = ? Problem #9: 1000 – 999 = ? Problem #10: 490 + 32 + (-3) -17 + 4 = ? Need more help? Check out these websites. "Cartoon Cloud" by Egyninja, public domain. Wikimedia Commons. "Cartoon Example" by Drawer of Shadows, public domain. Wikimedia Commons. "Handel cartoon" by Jazzmanian, public domain. Wikimedia Commons. "Beethoven Cartoon" by Jazzmanian, public domain. Wikimedia Commons. "Bach Cartoon" by Jazzmanian, public domain. Wikimedia Commons. Schubert Cartoon" by Jazzmanian, public domain. Wikimedia Commons. "Aliens" by Sylvia Cini. Creative Commons Non-Commercial Use With Attribution. 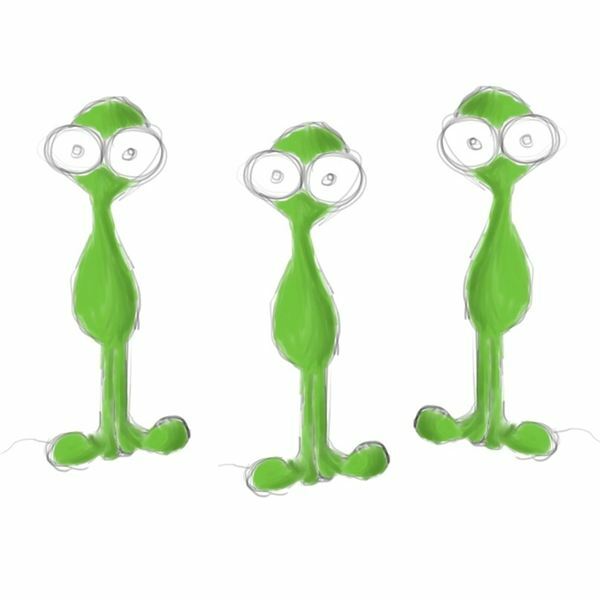 "3 Aliens" by Sylvia Cini. Creative Commons Non-Commercial Use With Attribution. "10 Aliens" by Sylvia Cini. Creative Commons Non-Commercial Use With Attribution. "20 Aliens" by Sylvia Cini. Creative Commons Non-Commercial Use With Attribution. "Aliens Problem 2" by Sylvia Cini. Creative Commons Non-Commercial Use With Attribution. "16 Aliens" by Sylvia Cini. Creative Commons Non-Commercial Use With Attribution. "Problem 4" by Sylvia Cini. Creative Commons Non-Commercial Use With Attribution. "Problem 4 Solved" by Sylvia Cini. Creative Commons Non-Commercial Use With Attribution. "Problem 4 Denominators" by Sylvia Cini. Creative Commons Non-Commercial Use With Attribution. "Solution Problem 5" by Sylvia Cini. Creative Commons Non-Commercial Use With Attribution. "Solution 5" by Sylvia Cini. Creative Commons Non-Commercial Use With Attribution. "Sub Problem 2" by Sylvia Cini. Creative Commons Non-Commercial Use With Attribution. "Sub Problem 2 Vertical" by Sylvia Cini. Creative Commons Non-Commercial Use With Attribution. "Sub Problem Numb Line" by Sylvia Cini. Creative Commons Non-Commercial Use With Attribution. "Sub Problem Vert" by Sylvia Cini. Creative Commons Non-Commercial Use With Attribution. "Fraction Sub" by Sylvia Cini. Creative Commons Non-Commercial Use With Attribution. "Fraction Sub Simplify" by Sylvia Cini. Creative Commons Non-Commercial Use With Attribution.